1. WHAT IS BACKCOUNTRY NAVIGATION? 2. WHAT ARE THE DIFFERENT TYPES OF BACKCOUNTRY NAVIGATION? 3. I’M GETTING OLDER, IS BACKCOUNTRY NAVIGATION STILL AN OPTION? 4. DO I NEED TO BE SUPER FIT? 5. I DON’T HAVE A LOT OF MONEY, WHAT ARE THE COSTS I CAN EXPECT? 6. IS BACKCOUNTRY NAVIGATION SAFE? 7. 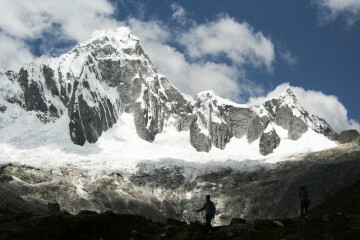 WHAT CHALLENGES WILL I ENCOUNTER WHEN NAVIGATING IN THE BACKCOUNTRY? 8. WILL I GET LOST? 9. HOW CAN I PREVENT MYSELF FROM GETTING LOST? 10. DO I NEED ANY SPECIAL GEAR FOR BACKCOUNTRY NAVIGATION? 11. WHERE CAN I GET ADVICE ON THE RIGHT GEAR? 12. HOW CAN I IMPROVE AT BACKCOUNTRY NAVIGATION? 13. WHERE CAN I MEET A COMMUNITY OF LIKE-MINDED PEOPLE? 14. IS THIS SOMETHING I CAN DO COMPETITIVELY? 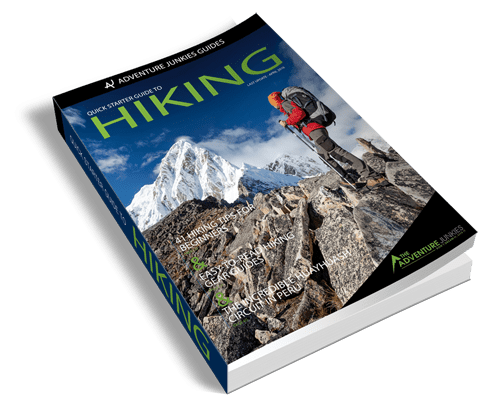 Whether you’re a seasoned hiker or a first-timer with an interest in exploring the great outdoors, there’s always that concern in the back of your mind that you might find yourself lost in the wilderness. How good are your backcountry navigation skills? Have you got what it takes to get yourself back onto the trail with a minimum of fuss? Of course, every trail is unique and there are many different ways in which you can build your ability to safely navigate the backcountry. 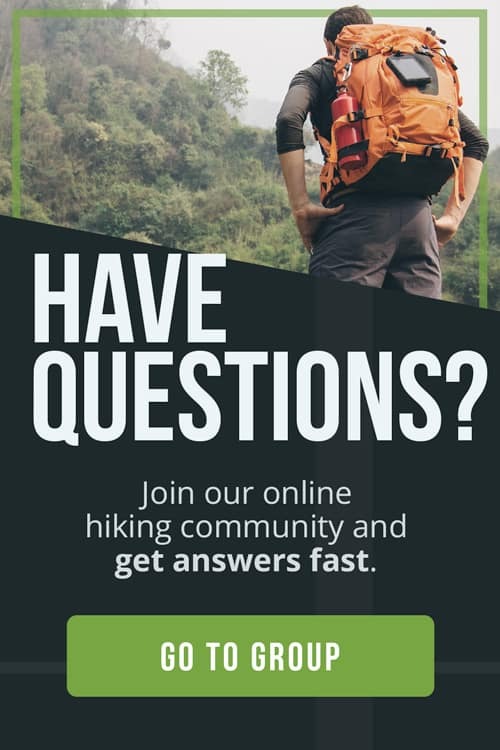 Here at The Adventure Junkies, we know you’ve got questions and through our responses, we know we’ll put your mind at ease and get you out on the trails in no time! Backcountry navigation is all about knowing where you are, where you need to be, and how to get there. In other words, not getting lost! Being prepared and understanding the different navigation tools at your disposal are the best ways of preventing a bad case of “geographic uncertainty” when you’re out exploring the backcountry. There are three types of trail you’re likely to encounter in the backcountry, and your navigational needs will be different for each. When the trail is clearly signposted and well-traveled, backcountry navigation may be as simple as reading the map at the trailhead, watching for signs at each fork in the trail and packing a simple “not to scale” trail map in your day pack as a backup option. These are the trails that most of us will be exploring on day hikes or those close to populated centers. An awareness of major landmarks together with a basic map and the GPS on your cell phone are likely to be good enough for navigational purposes. Off-trail hikes, multi-day hikes, remote regions or challenging terrain all require a much higher level of navigational certainty. At the same time, the risk of getting lost can be greater as there are likely to be fewer people in the area and electronic communication may not be available. For these hikes, you will need both a topographic map and a compass. Most importantly, the skills to use them together to navigate through unknown terrain, possibly during challenging conditions. Every trail is different so do your research but if in doubt, take a map and compass. Definitely! In fact, the older you are, the less risks you’re likely to take and the more experience you have to get yourself back on track if necessary. Not at all. Backcountry navigation is all about brains over brawn. A good plan, the necessary skills and a cool head under pressure are all that is needed to be an excellent backcountry navigator. You’ll be extremely pleased to know that the most reliable tools for backcountry navigation, your map and compass, are very affordable. Depending on where you intend to hike, you may need to invest in hiking gear. We’ve got some great tips on this further down the article. Of course! 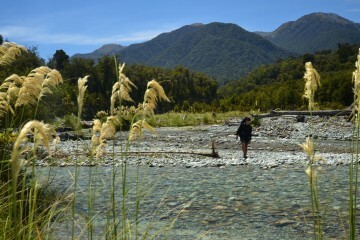 By taking yourself into the wilderness, you do need to respect your environment and the challenges it may pose. Training is the key here. If you go into your hike prepared, particularly when going off-trail, then there is very little risk at all. For most hikers, navigational challenges will come in the form of fog, snow, remaining daylight or perhaps unexpected obstructions that require you to leave the marked trail. Battery failure is also common, so you should also have a backup to your GPS, just in case. If you’re going off-trail, then you’ll need to be prepared for a greater variety of challenges such as difficult terrain and thick vegetation. Every hiker has experienced that feeling in the bottom of their stomach when things don’t look right, or the trail takes an unexpected deviation. Would you really call that “lost?” Probably not and with the right training, you’ll be back on track in no time. As for getting REALLY lost, it’s only likely if you haven’t done your preparation or you didn’t respect your environment. Both of which are completely under your control. Preparation is the key. 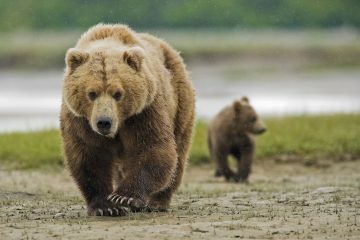 Don’t go jumping into multi-day, solo hikes or off-trail from day one! On your typical day hikes, it may be as simple as brushing up on the route before you start and then keeping an eye open for junctions and signposts on the trail. If you’re thinking of going off-trail, then you’ll be wanting to complete shorter hikes in the local area to get a feel for major landmarks (rivers, mountaintops, electricity lines, etc). Start with day hikes with plenty of time before it gets dark. Take a friend. Practice your map and compass navigational skills on marked trails first. There are so many things you can do to ensure you’re ready to navigate the backcountry. There are a number of different pieces of gear you could purchase to help with your backcountry navigation, with costs varying from very little, up to a whole lot. A cell phone and its in-built GPS signal will prove sufficient for most hikes that are near populated areas. For greater accuracy, you could consider purchasing a dedicated GPS unit. At its most basic, if you’re going to go off-trail or into remote areas, the purchase of a map and compass is of critical importance. High-quality topographic maps and compasses can be purchased online or from your local camping store. To protect your map from the elements, it’s also a good idea to purchase a waterproof map case or sleeve. Of course, simply hiking in the backcountry requires you to have the right gear for the conditions. 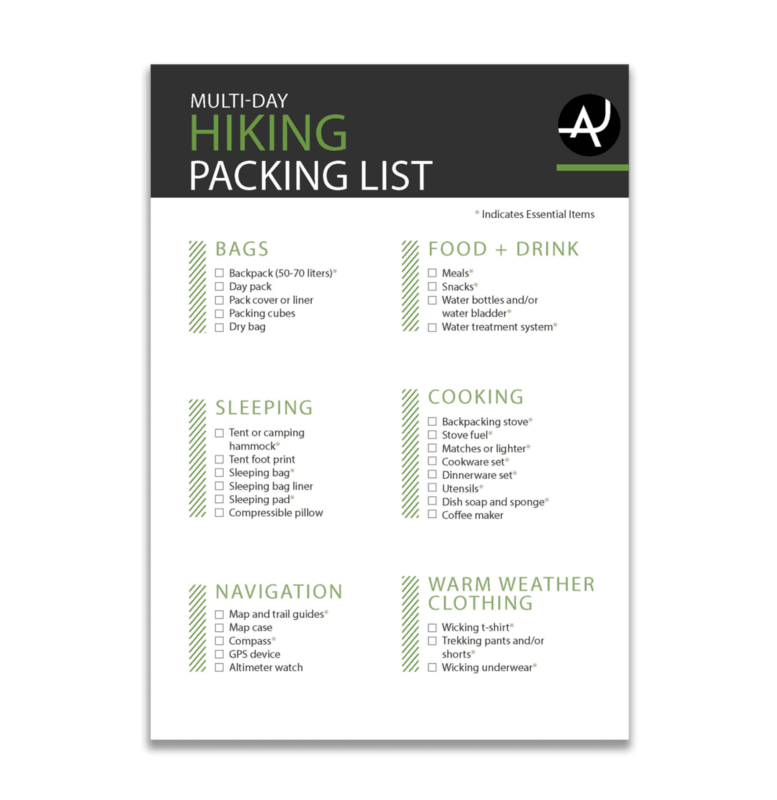 This is a topic in itself, but the best place to start is this Multi-Day Hiking Packing List. Your local camping store is a great place to seek advice about the gear needed for backcountry navigation. There is also plenty of information online for anyone wanting to do gear research. As with any physical activities, the best way to improve your backcountry navigational skills is to practice! 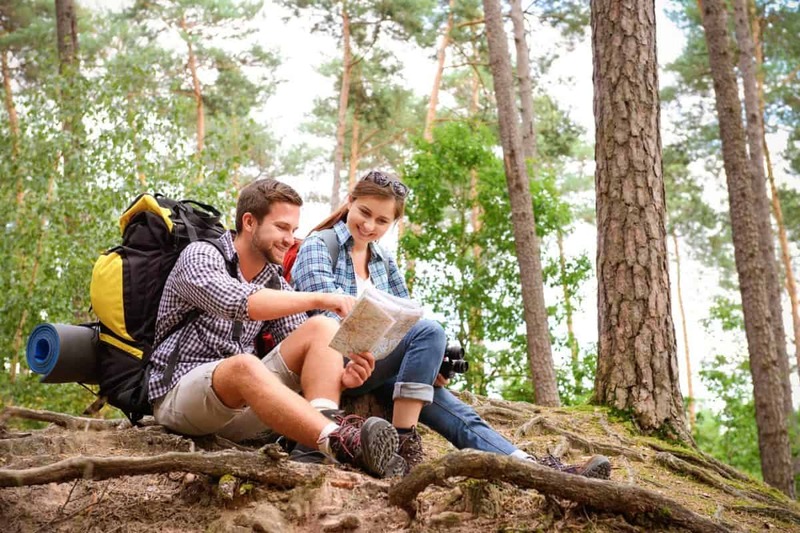 You don’t need to be in the middle of the wilderness either; even your local park or suburb can be used to practice your map and compass skills. It’s also worthwhile to read as much literature online as possible. 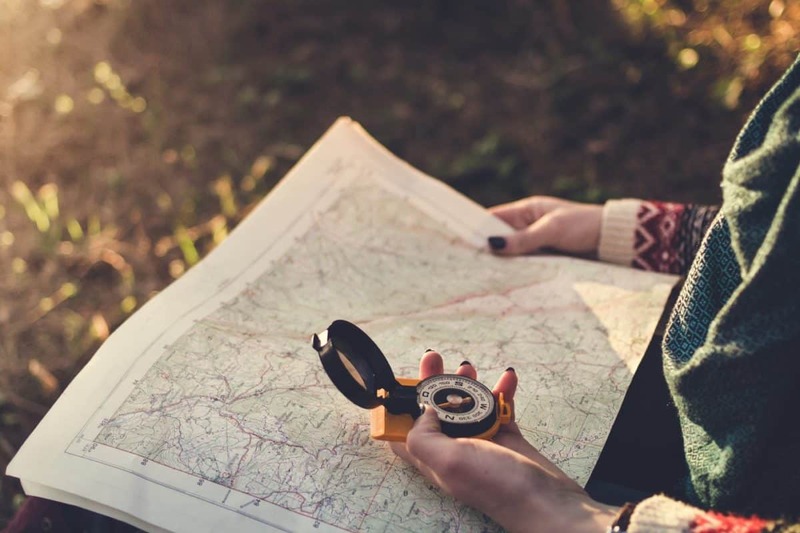 Here at The Adventure Junkies, we’ve written guides on How to Read a Topographic Map and How to Read a Compass, and these are the perfect places to start! Another fun way to improve your skills is to join your local hiking or orienteering club. These clubs are always looking for new members and are extremely knowledgeable. No matter how urbanized they may be, most large towns and cities will have a hiking club that you could join. If you’re finding it difficult to track one down, remember to check the local college or university as they often establish hiking clubs to cater to students with a passion for the outdoors. Yes! Some of us enjoy taking things slowly and independently, others like to have an element of competition to keep pushing us to improve. The sport of orienteering started with the Swedish in the late 1800s but due to its popularity, it has spread across the world. At its most basic, the sport of orienteering involves each competitor being provided with a backcountry course that needs to be completed in the shortest amount of time. Checkpoints are designated along the way to make there aren’t any sneaky shortcuts, but most importantly, the only navigational aids that are permitted are a map and compass. The sport of orienteering is the perfect way to not only satisfy your competitive spirit but to rapidly improve your backcountry navigation skills at the same time!